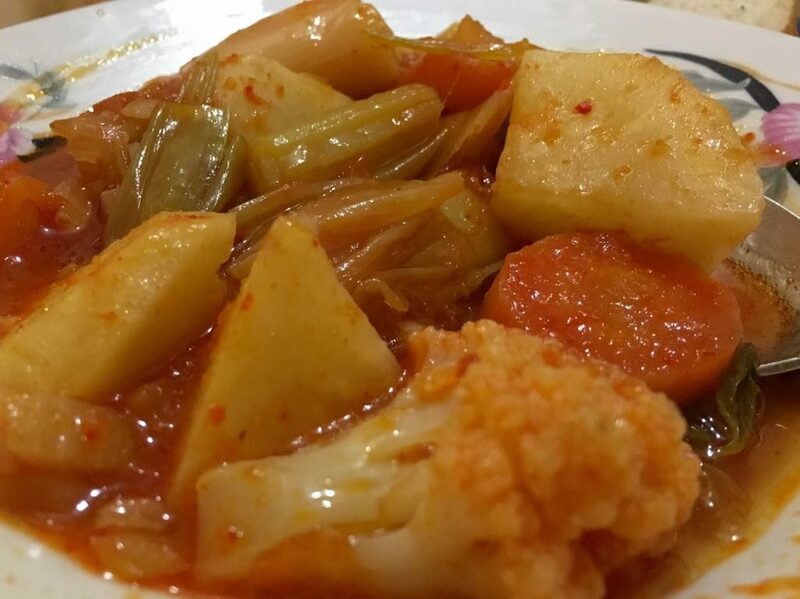 This is an extremely simple village dish and just about any vegetable can be replaced with another of your choice. It is all mainly about the method and the basic sauce which falls under the Turkish category of Sulu Yemek meaning literally Watery Food. What it really is trying to tell you, is that it is cooked with water rather than olive oil and therefore it is served hot. Sulu Yemek is very popular for lunch in little local lokantas (cafes). It is tasty and affordable for just about everybody. 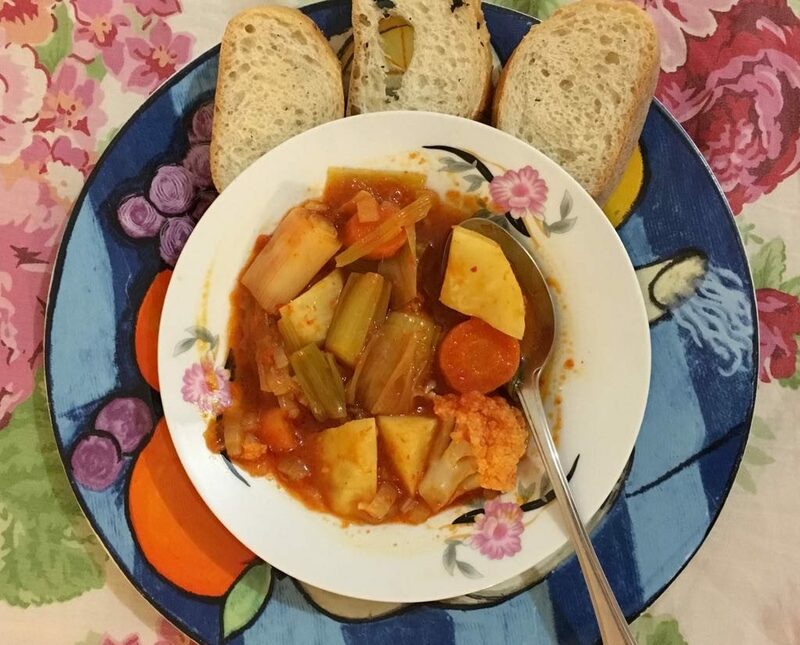 Normally one would also be served a bowl of rice or bulgur with it and possibly a cacik – a garlicky, cold yogurt soup with grated cucumber which is slurped up in between mouthfuls of the other dishes. Hatice my landlady knew we were packing ready to move to our boat and so turned up at our front door with this, the night before we were leaving. It was heartily accepted and wolfed down in no time. It is such an easy dish to prepare and is very tasty. As I mentioned before, the vegetables can be substituted with any you desire and you can use as few or as many types of vegies as you wish. This mixture below is what Hatice served us. It was delicious and sometimes just what the body my body is asking for! What a lovely gesture from your landlady and how kind (and yummy of course ?!) If it was your last night I guess you’ve moved on to the boat now Lulu. How exciting! Hope all went well and here’s wishing you all the best for times ahead! The gesture was absolute typical, I would say, of the kind, generous nature of the Turkish people. They are an amazing race and that’s why we live here. We have moved onto the boat now Angela but it is far from ready to go sailing yet. Hoping to make it out of the marina by summer, but who knows! ?